Neuroon Review: Intelligent Sleep Mask For Lucid Dream - Working? Neuroon Review: Intelligent Sleep Mask For Lucid Dream – Working? While many people are figuring out how to lucid dream, Neuroon Sleep Mask by Inteliclinic is claimed to be the very first intelligent sleeping mask in the market that will help those who want to become a lucid dreamer. But does this eye mask really work with effective results, per actual user reviews and feedback? Inteliclinic launched the Kickstarter campaign for Neuroon in December 2013, in which the project received overwhelming success with initial version of the mask was backed by 1,944 people within 3 days. Originally, this product was designed as a device for polyphasic sleeping, but it evolved to be a mainstream product that can help people enjoy a better sleep and get rid of body clock problems including jet lag, smart napping, and shift working. Neuroon Sleeping Mask comes with built-in sensors that detect EEG or brainwaves, body movement, eye movement or EOG, and one’s pulse. Combined with its powerful app, this sleeping mask allows users to modify their sleep patterns with patented light therapy. Light Boost – provides personal Bright Light Therapy, which reschedules biorhythm. Sleep Analytics – ­an on ­demand report on the sleep quality with necessary measurements. Neuroon Sunrise – simulates artificial dawn for user is woken up in the most natural way. Personal Pause – boost your mind and refresh your body with one of 4 customized naps. Jet Lag Blocker – enables overcoming the disastrous effects of long flight and jet lag. Biorhythm Adjuster – enables altering the biorhythm, especially designed for shift workers. This is the first device on the consumer market that can analyze human sleep by monitoring brain waves and improve sleep quality using the breakthrough technology of Bright Light Therapy. Neuroon system uses its built-in biometric sensors to analyze the user’s sleep architecture and, based on the collected data, the mask creates a personalized Bright Light Therapy to improve the user’s sleep quality: help him or her fall asleep faster, wake up more energized and adjust his or her body clock to real sleeping hours. Neuroon Sleeping Mask is a wearable technology, which combines medical grade software and sensors with a mobile app for your smart device. With the use of Bluetooth 4.0 BLE, the mask communicates with an app on both Android and iOS systems that transfers your biometric data and enables you to access a full suite of 6 functionalities. Neuroon Sleep Mask goes beyond being a simple alarm clock replacement. It is made to ensure that you get the best sleep in the time you have available and can manipulate your sleep patterns with the use of light therapy or combat jet lag conveniently with the use of light therapy. It is also possible to change the way you sleep entirely and might help you switch your body clock to unconventional patterns. The data may pinpoint sleep disorder. 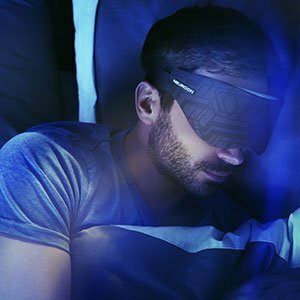 Neuroon Sleeping Mask does not have to be connected overnight as the mask syncs with Bluetooth to your device in the morning. Powered by a small battery, this sleep mask is good for around 5 days use, based on 8 hours of sleep every night. It is also recharged with the use of micro USB connection. The mask itself is machine washable and the materials used are hypoallergenic. When you use this sleeping mask, it comes with Neuroon Light Boost feature, which has the ability to increase your energy level. The best thing about this program is that it’s very simple to use and utilizes a light spectrum therapy to provide you a real burst of energy. Neuroon Sleeping Mask features Biorhythm Adjuster, which helps adjust the time you’ll fall asleep. You will also get personalized tips and recommendations based on your own sleep history, allowing you to sleep better. This device will help you wake up gradually through light imitating your favorite sunrise. Gentle light will help you wake up much easier with more energy thanks to its Light Boost feature. Neuroon Sleeping Mask includes a set of features, which will help you beat insomnia including Light Boost, Sleep Analytics, Biorhythm Adjuster, and Personalized Tips so you could regain good energy and peaceful sleep. 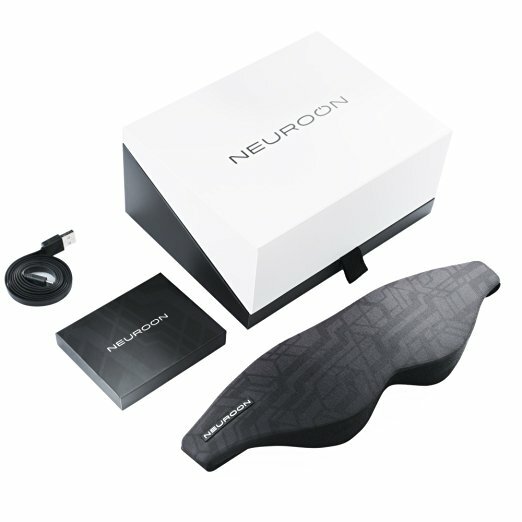 Neuroon User Reviews: What Do They Say? Angel shared: “I purchased my Neuroon about two weeks ago and love it! The small card inside the packaging with instructions made getting set-up seamless. The application is one of the most professional looking apps I’ve seen in a while. The layout is slick, super responsive, and full of insightful information about my sleeping habits… I have found the Bright Light Therapy feature to be my favorite. While I sleep, the Neuroon will gradually apply Bright Light Therapy to reschedule my body clock. After a few days of sleeping with the mask, I felt like I was truly able to fall asleep easier and track my progress. The hardware itself is nifty. The mask comes with an adjustable elastic strap and uses memory foam to fit the form of my face. The sensor pack can be removed and charged using any micro USB cord. I was pleasantly surprised the sensor’s are actually gold plated and the pack is made from soft hypoallergenic silicone. Considering I have sensitive skin, I was relieved it didn’t cause any breakouts during the night. This intelligent sleeping mask has received many positive user reviews that prove that it does what it claims, by helping the users achieve lucid dreaming. Neuroon Sleep Mask is not available for sale at retail stores, as it is only available to buy online via its official website here. Inteliclinic is highly confident on this breakthrough product, that it offers 14-days money back guarantee.